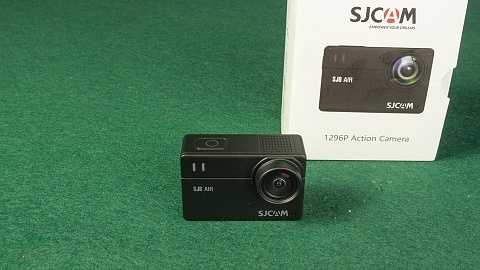 All over the web the term Xiaomi Yi action camera is used. 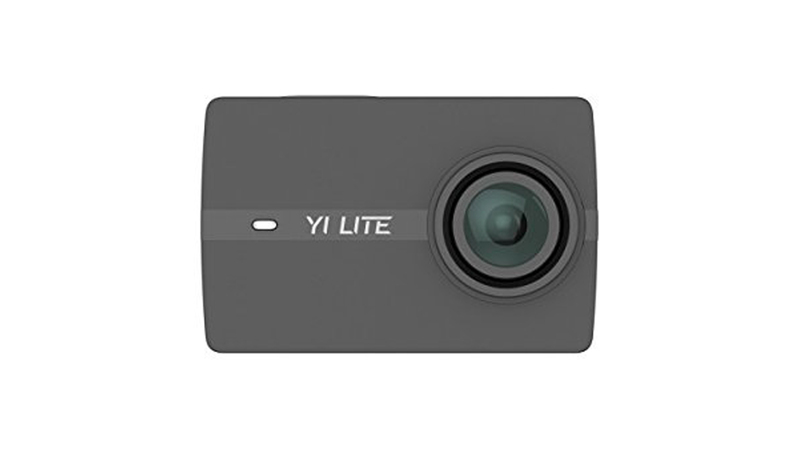 The manufacturer is actually called Yi Technology (international name) or Xiaoyi and even tough related to Xiaomi, a separate company. 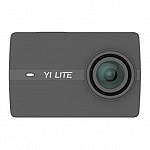 The YI Action Camera is available through Chinese retailers since March 2015 and also on Amazon through 3rd party retailers. 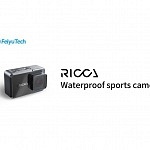 In December 2015 Yi Technology introduced and international version of the YI action camera and sells them directly on amazon. There are 4 features that differ the International version from the Chinese Version: The battery is from Sony, the battery door has a metal sheet inside, the bottom doesn’t have the notch and the international version is also available in black. 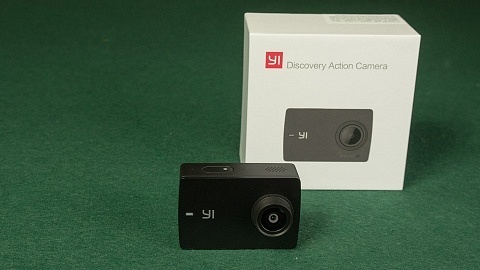 Click to find out more about the International Version of the YI action camera. Exmor R is a back-illuminated (BackSide Illuminated) version of Sony’s CMOS image sensor. Sony claims that Exmor R is approximately twice as sensitive as a normal front illuminated sensor. 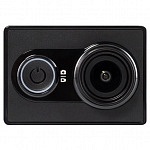 The same sensor is used in the Git2 camera which also offers a 2″ LCD screen and a built-in gyro for image stabilization. 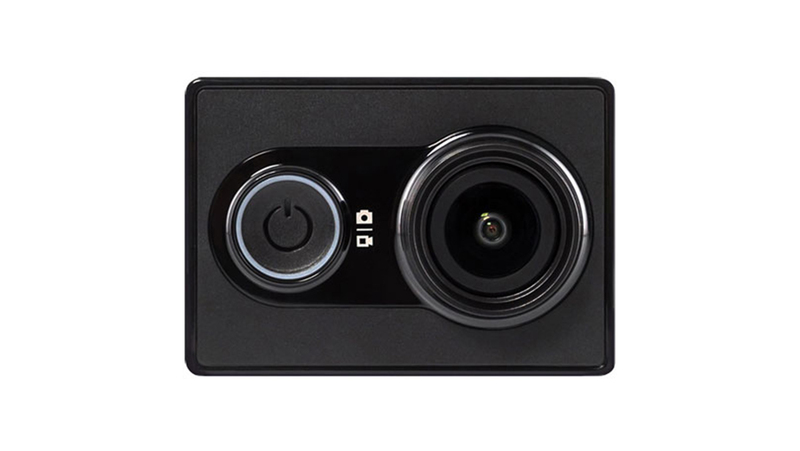 An Ambarella A7 chip is used for in the Xiaomi Yi, that’s the same chipset used in Dazzne P3 & SJCAM SJ5000+. 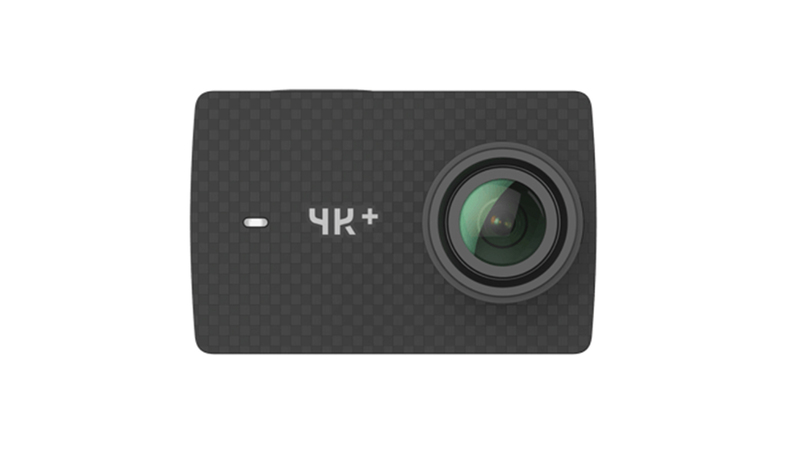 The GoPro hero 4 black uses the updated Ambarella A9 chip, most of the other action cams come with a Novatek 96660 chip. 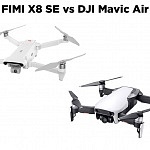 The Xiaomi Xi can’t do 4K, if you want 4K resolution you have to take a look at SJCAM SJ5000X Elite, Git2 or Firefly 6S, but their 4K resolution is interpolated! The Xiaomi Yi doesn’t have a LCD display. Although there is a 3rd party accessory LCD which is made for Xiaomi Yi. A detachable 1010 mAh battery is used. 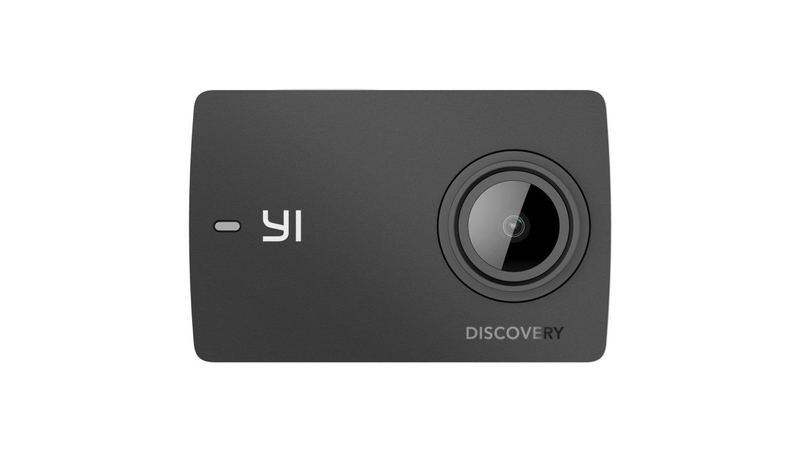 The international version of the Yi action camera features a Sony battery! max. 128GB microSD card, class 10 recommended. built in Wifi and Bluetooth 4.0 – wifi connects to Xiaomi iOS or Android App, Bluetooth to Xiaomi remote control. microUSB for charging & A/V output, Mic-in is not supported! & microHDMI port for HD video output. The power button is on the front of the camera. Around this button there is a LED light indicating the battery status. With firmware 1.0.12. the power button got a new feature: It flashes when taking a photo or flashes constantly while recording a video. When doing self-timed photos it will flash until taking the picture. It can be turned off in the App. They are located on the top, backside and bottom of the camera. When you take a photo, they flash once (a little delayed). If you switch to video mode the will light up and while recording they are flashing. This LED is bright and easy to see. I wish the status LEDs would be as bright as this one. Now here’s a little hint how to use it: Power up the camera and wait for at least 10 sec. until the camera is powered up. Then press the wifi button and wait again for 10 sec. and the light will start flashing. Now your phone is ready to pick up the camera’s wifi. The standard password is: 1234567890. The camera has also built in bluetooth which doesn’t connect with the app, but the remote control. Let’s take a look at the backside of the camera. There you’ll find the batters door, microSD card slot, micro USB & micro HDMI ports. MicroSD cards up to 128GB are supported, class 10 is recommended. A/V output via USB is possible with firmware version 1.0.7 or later. Mic input via USB is not possible! HD video output via HDMI is available. At the top of the camera there is the trigger button for photo and video recording. The mentioned status LED and a hole for the microphone. On the bottom you will a 1/4″ thread, a status LED and a hole for the speaker. I really like the thread at the bottom, because you can mount the camera without any additional case or housing. Although it is a bit shallow and you might need a washer. I think the notch next to the thread is used for a special 1/4″ to GoPro adapter, to give it more stability. The aluminium frame comes with this kind of adapter. A USB cable is included in the basic set – that’s it. The traveler set contains a monopod & remote control. 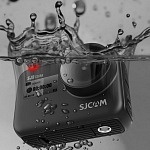 The underwater case is an optional extra, in contrast to the SJcam or GoPro. Xiaomi Yi is a little larger as GoPro and SJCAM and the buttons are located on different positions, so you can’t use SJCAM or GoPro housing. Xiaomi Yi underwater cases come with the typical GoPro mount at the bottom, so you can use any GoPro mount. 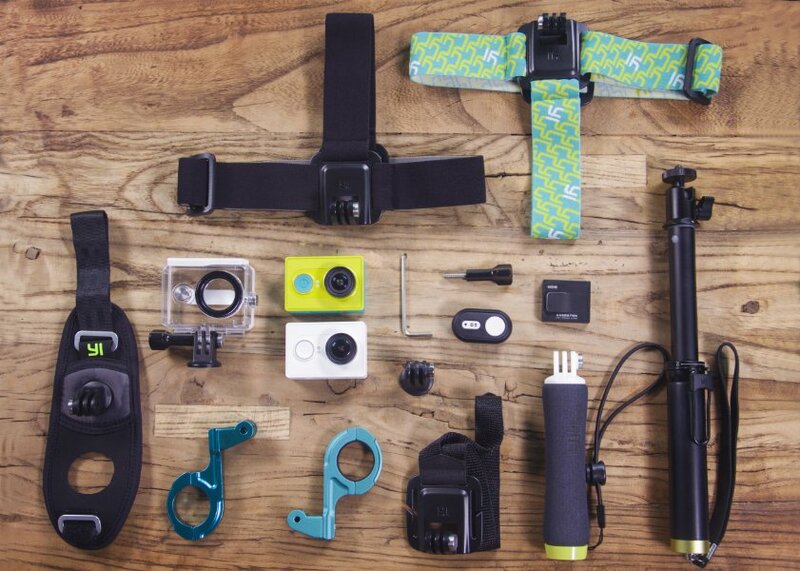 There are more original accessories such as several strap mounts, bag & floating grip. There are many 3rd party accessories available such as: LCD & battery backpack, several filters and aluminum frames. Here’s an overview of Xiaomi Yi accessories where I reviewed many of them. 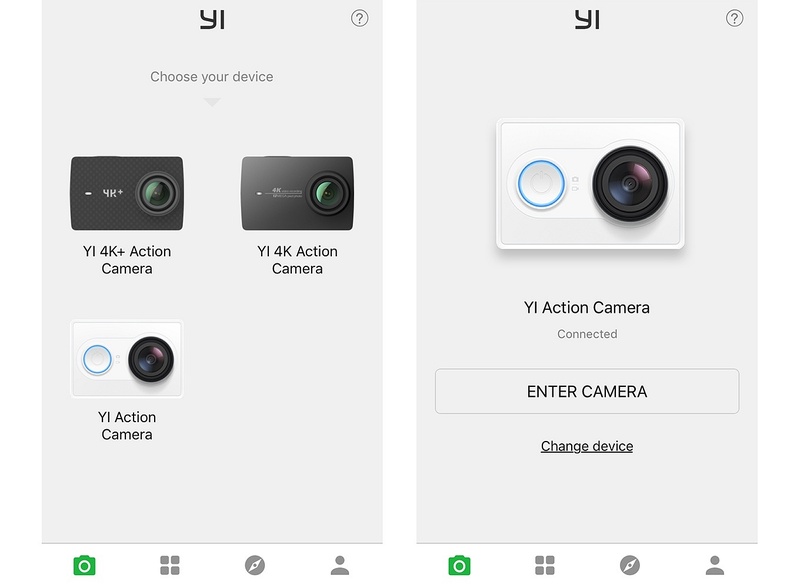 The same app (Yi Action App) is used for the Chinese and the International Version. Since I installed the YI Action App first the app improved a lot! First version I used was only in Chinese. Since then the stability improved and the firmware update via the phone is now pretty smooth to do. Only thing I would wish: a little more settings for the camera (White Balance, ISO, Exposure). The following screenshots are taken from iOS App version 3.4.0 with firmware 1.2.13 installed on the camera. When your camera is not connected you can select your camera model first. If your phone and camera are connected, you can press “enter camera” for the live preview and settings. The first icon in the bottom menu gets you to the camera menu. Second icon takes you to the camera roll of photos stored on your phone. The third icon “Discover” represents the YI Action Plattform where you can upload your images and see photos and videos from other users. search for “el Producente”, I also have an account, let’s connect within the app! Last icon gets you to your profile within YI Action App. Below the live image the currently selected resolution is displayed. Below is the photo mode sub menu which you can slide left/right: Photo – Time-Lapse – Timer – Burst mode. Photo indicates the single photo mode, in time-lapse mode you can select the interval: 0,5s – 1s – 2s – 5s – 10s – 30s – 60s. This mode will create individual photos. A video time-lapse mode, where a video file is created, is available in video mode. In timer mode you can select the self-timer countdown: 3s – 5s – 10s – 15s. Burst mode will shoot multiple photos. With this option you can define in which area of the frame the exposure is measured. You can select separately if you want a timestamp in photos and/or videos. The icons on top of the live view image are the same as in photo mode. 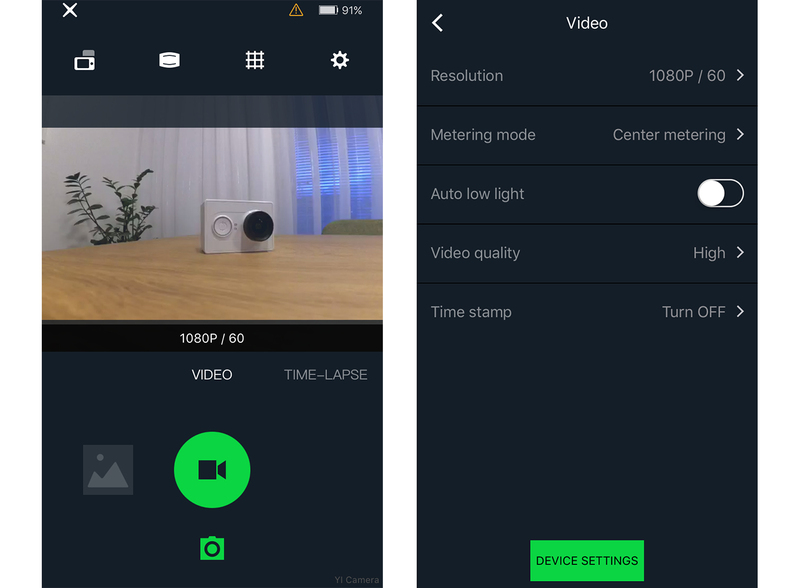 There are two video modes available standard “Video” and “Time-lapse”. This time-lapse mode has a video file as final result. When selecting this mode you can choose interval time and video length. The following options are available, when NTSC is selected. When you switch to PAL (in device settings) the 30fps options are changed to 25fps or a multiple of that. When you select this option, the camera will adjust the frame rate according to the current light conditions. Same as in photo mode you can display time and or date in your video. You can see the serial number of your camera and a “find camera” button below, which activates a beep sound from your camera when turned on. Your installed firmware version is displayed. When you press it you can check for updates. You can check how much of your storage is used and you can format your inserted micro SD card. This selection is also available in the top icon list when you see the live image. YI Camera has a wide-angle lens therefore the image has a strong visual distortion. 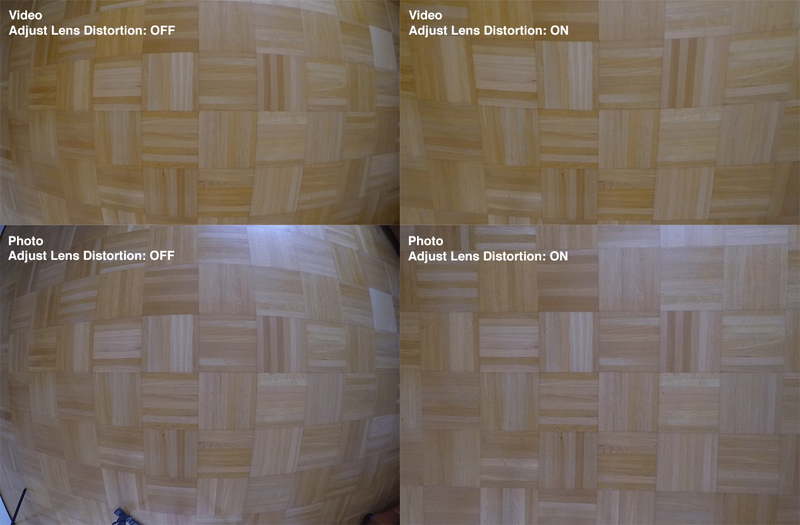 You can reduce this effect when selecting “adjust lens distortion”. The quality of the picture will be a little poorer as the picture is stretched. The image size will stay the same (4608 × 3456) when in highest resolution mode. These 2 photos and 2 video frames ware taken from the same position about 1,5m above the floor. I think in photo mode it does a pretty good job as the lines are almost straight. It seems that in video mode the lines on top and bottom are straighter but with an additional distortion in the middle. Not much to explain here: Wifi is turned on when you power up the camera. This option came with firmware 1.0.7. With a special USB cable you’ll get a video output signal via USB. This is needed when you want to use the camera for FPV. Via USB there is no delay in video transfer compared to the preview on your phone via WiFi. You also have to turn on this option when using the 3rd party LCD display. You can flip the image 180° in case you mount your camera upside-down. You can select the video standard PAL or NTSC. When selected NTSC the frame rates above are shown – 30fps as well as 24fps and a multiple thereof. When selecting PAL you’ll get 25 fps or a multiple thereof as well as the 24 fps options. Here you can change the name of the camera’s wifi. You can select All on, All off or Only status LED. The option “Only status LED” can be very useful when the bright power indicator light is reflecting in your shot. The status lights refer to the 3 red LEDs at the top, bottom and backside; the wifi led is also turned off with this option selected. You can select how loud the camera should beep when pushing the buttons: high, low or mute. In loop recording the camera is saving 5 min. clips and will start overwriting the oldest files. This option is useful for surveillance e.g. when you use it as dashboard camera. 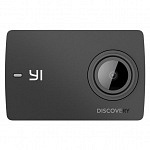 If you just want to use a dash cam, take a look at YI Dash Cam which has more features for that purpose. Here you can select date and time – important when you use the timestamp! Here you can select if the camera should power up in video or photo mode. You can select off, 3, 5 or 10 minutes after which the camera should power down when in standby. This setting is new with firmware 1.2.0 when the bluetooth remote was introduced. Lastly you have the option to restore your camera to factory settings. Here you can find more info on the different hardware versions. The different versions have nothing to do if it is an Chinese or International version! This is a clip I shot after the 2K resolution was added to the camera’s options. 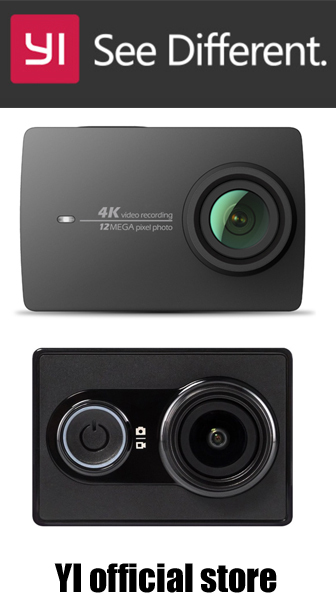 Here’s a comparison with the new EKEN H9 4K action camera. 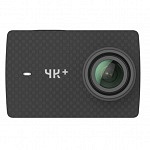 The EKEN is cheaper than the Xiaomi Yi and comes with lot’s of accessories including underwater case. 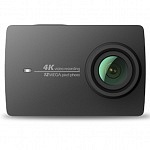 It is labelled 4K but can only shoot 10fps at this resolution, in 1080p it can shoot up to 60fps, same as Xiaomi Yi. There are some reported issues with sharpness and also some reports on how to fix it. It seems that the lens is not in the right position and can be repositioned by turning it. You have to loose the glue, turn the lens and fix it again. Here’s an instruction how to fix the lens. There is some kind of plastic put over the microphone to protect it, but it also shields the sound making it dull and quiet. You can fix the problem when opening the camera and replacing this plastic with a piece of foam (found on headphones). Here’s an instruction how you can fix the sound. There are some sound interferences while recording when the wifi is activated. 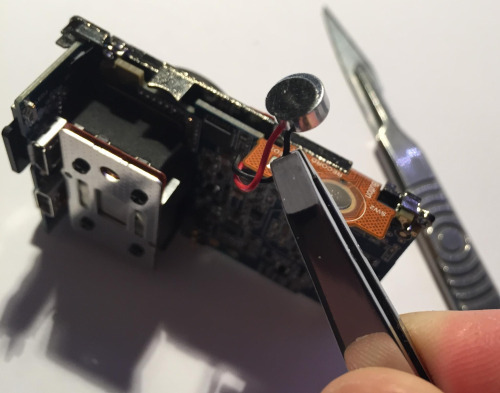 You can also improve the problem when placing adhesive over the antenna found on the cameras frontside (when opened). Here’s an instruction how you can take care of it. On the one hand there are some problems with the camera, but fixes were found. It is the first camera from the manufacturer and my camera (Chinese version) was one of the first batches, so these things can happen. I received an International version and discovered that many of the early problems were solved. There are also some minor issues in design which could be more perfect (thread not deep enough, status lights not very bright) but as well, there might be reasons why it was done this way and I never got a camera which was totally perfect for me. The lack of a LCD screen might be very important for some users. I don’t have a problem with that. 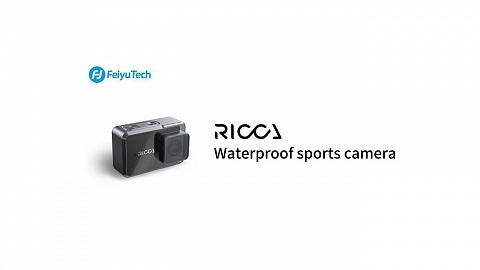 It saves battery which runs out fast on every action camera and there is a 3rd party LCD screen available if desired. 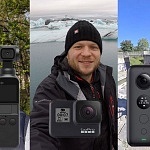 You may also take a look at the Git2, which has the same Sony sensor, offers an LCD screen, comes with lots of accessories and has a built in gyro for image stabilization for a similar price. On the other hand you get a really well built product, with great image quality for a stunning low price. 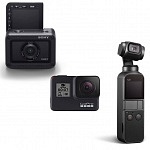 My conclusion: It is not the same level as the GoPro Hero black 3 & 4 as well as the Hero 4 silver. But the cheapest of them is 5 times more expensive than the Xiaomi Yi, but it is not 5 times better. 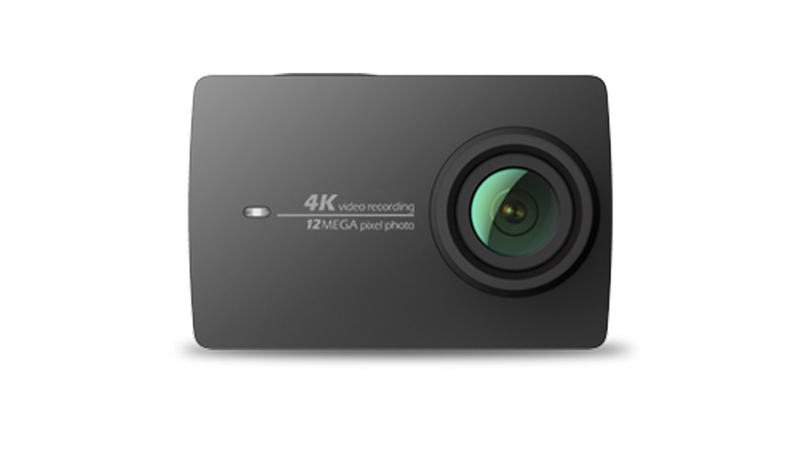 If you want the best quality (4K resolution & 120 fps at 1080p) – you have almost no other option than the Hero 4 black. If it must not be the best product specification wise, but the best product/performance ratio – go for the Xiaomi Yi!